Stash is built for investors like you. Our goal is to simplify investing so that anyone can do it. That's why we offer fractional shares which let you invest as little as $5 at a time. It's also why we carefully choose the investments offered on Stash. Our investment team curates a list of well-known and approachable stocks and investing themes based on expense ratio, trading liquidity, and risk profile. So whether, you're a new investor or a seasoned veteran, you can feel confident investing with Stash. We’ll help you become a confident investor. 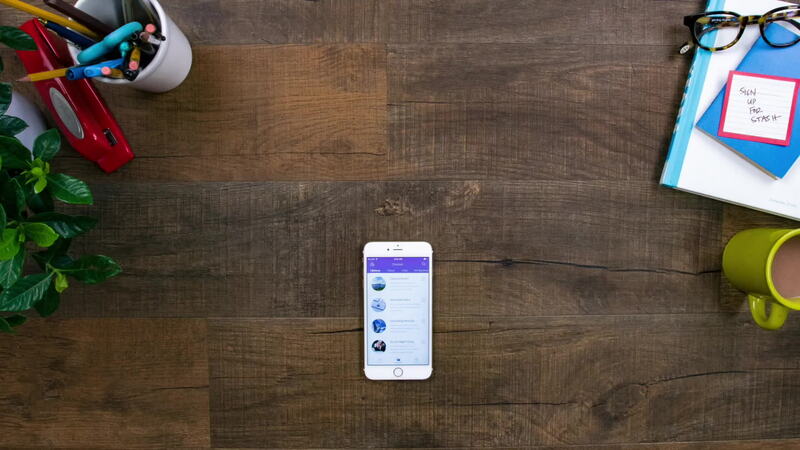 With Stash, you always choose how to invest your money, but you'll never be alone. We give you the tools and advice you need to make smart investing decisions. Our Coach can give you personalized guidance to help you make smart investing decisions and achieve your goals. 84% of Stashers are beginners. Stash Learn provides tips and articles to help you gain knowledge and stay informed. Looking to hit a goal? Our automatic saving and investing tools can help you consistently build wealth over time. Boom! A sample portfolio, just for you. We've built a diversified portfolio that balances risk and reward while reflecting your own personalviews. This customized portfolio is made of stocks and bonds. Disclaimer: This investment recommendation relies entirely on the responses you’ve provided regarding your risk tolerance. Stash does not verify the completeness or accuracy of such information. Investing Involves risk, including possible loss of principal. No asset allocation is a guarantee against loss of principal. There can be no assurance that an investment strategy based on the tools will be successful. Diversification and asset allocation may not protect against market risk or loss of principal. This information should not be relied upon as research or investment advice. This information is strictly for illustrative and educational purposes and is subject to change. This information does not represent the actual current, past or future holdings or portfolio of any Stash Client. Carefully consider any ETFs’ investment objectives, risk factors and charges and expenses before investing. This and other information can be found in the EFS’s prospectus which may be obtained by visiting the ETF’s prospectus pages. Read any applicable prospectus carefully before investing. The historical performance data quoted represents past performance, does not guarantee future results, is provided “as is” and solely for information purposes, is not advice or for trading purposes, may be subject to delays, should not be used for tax reporting, may not reflect actual future performance, and is gross of Stash fees. Prices may vary due to network availability, market volatility, and other factors. Investment return and principal value of an investment will fluctuate so that an investor’s shares, when sold or redeemed, may be worth more or less than the original cost. Current performance may be lower or higher than the performance quoted. There are over 100 investments (and counting!) on Stash. Not sure how to pick? This handy chart lets you compare them, using factors like Dividend Yield and Historical Performance. What is in this investment? These are the top holdings (companies or securities) owned by this fund. The historical performance data quoted represents past performance, does not guarantee future results, is provided “as is” and solely for information purposes, is not advice or for trading purposes, may be subject to delays, should not be used for tax reporting, may not reflect actual future performance, and is gross of Stash fees. Prices may vary due to network availability, market volatility, and other factors. Investment return and principal value of an investment will fluctuate so that an investor’s shares, when sold or redeemed, may be worth more or less than the original cost. Current performance may be lower or higher than the performance quoted. There is a potential for loss as well as gain that is not reflected in the information portrayed. The performance results shown do not represent the results of actual trading executed using client assets. Investors on Stash may experience different results from the results shown. The choices made by Stash to display certain investments and time horizons have a direct effect on investment performance, and different choices would result in different historical performance results. Not all investments on the Stash platform are available to all clients.